I learned a lot here. Fascinating history of a versatile ingredient! Very interesting post, I love learning about exotic ingredients. Cheers! 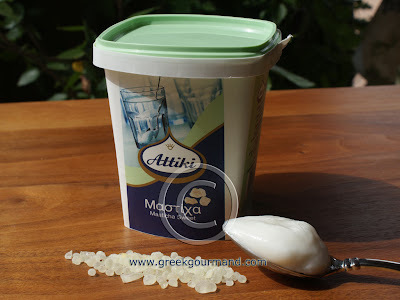 I brought home a tub of mastic spoon sweet from Greece because it seemed intriguing at that time but I am little unsure of what to do with it now and have not yet dared to open the tub. Do you eat it as a dessert or offer it when someone comes over for a coffee? Should I be prepared for tooth aching sweetness? Are there any other 'authentic' ways to serve it than with a glass of water? Excellent information! 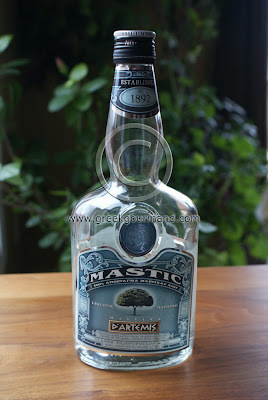 I'm going to search for this and try it out in your mastic shrimp recipe! 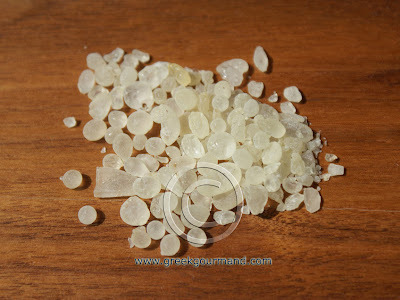 This is the first that I have heard of mastic resin. It sounds interesting. I am glad that it can be found in here in Ontario. I will have to try it. Thanks for all of the great info! Many experts and researchers of prostate cancer suggest that perillyl alcohol helps in prostate cancer as it is said to regress pancreatic, mammary, and liver tumors. Perillyl alcohol helps in prostate cancer especially as a chemotherapeutic agent. Sam, I just L O V E your blog, both your narratives and your recipes. Reading it, takes me back to my travels in Greece (and Turkey), and to the Holiday Feasts at my friend Maria's, who's Greek, growing up in Germany. It is one of the most quality and unique products worldwide, I just love it.